Bar à champagne & Dj. Le polo, encore plus féminin que jamais. juillet à Chantilly, se voit enrichie d’un nouveau partenaire, lui aussi 100% féminin : Marbella Paris. de meilleurs chevaux et le spectacle est éblouissant. Le polo à ce niveau rend les femmes encore plus belles. maison de luxe en 2005, la baptisant du nom de cette cité andalouse où oeuvrait son grand-père artiste-peintre. exclusivement) ponctué d’animations et autres concours d’élégance. champ sera libre pour ce polo de charme ! 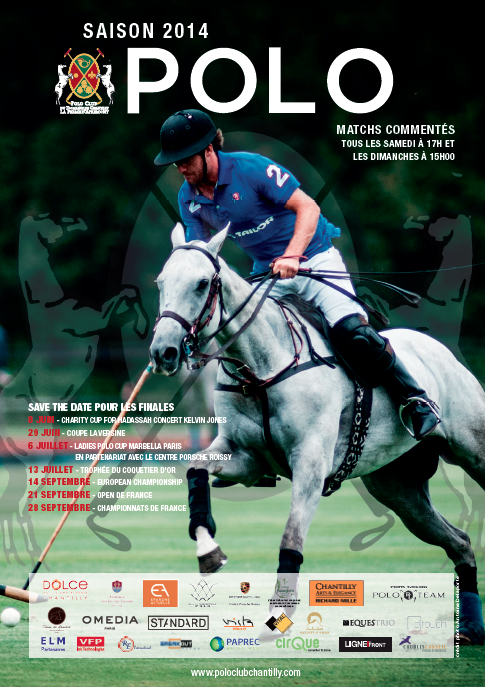 Le Polo Club du Domaine de Chantilly et ses partenaires ont le plaisir de vous convier aux matchs commentés de la saison de polo 2014. 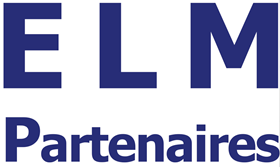 Matchs commentés tous les samedi à 17H00 et tous les dimanche à 15H00. 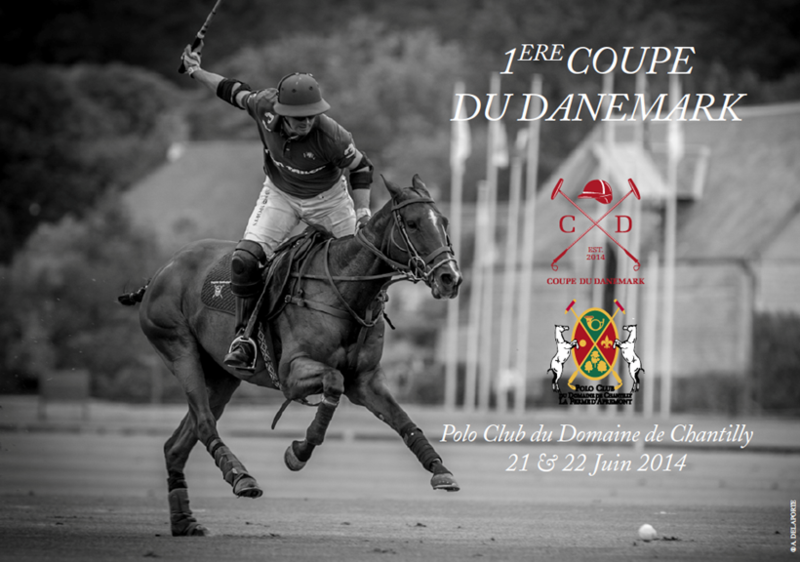 Bar à Champagne Perrier-Jouët possibilité de pique-niquer ou de déjeuner au Polo Club du Domaine de Chantilly ! La Dolfina and La Aguada each scored a win in the opening round of play in the 2014 Argentine Open Championship in Buenos Aires Saturday afternoon. In the opening game it was La Dolfina (Adolfo Cambiaso, Sebastian Merlos, Pablo MacDonough and Juan Martin Nero) from the opening throw-in as they took an early lead and never looked back in the 17-6 win over Miramar (Gonzalo Deltour, Valerio Zubiaurre, Ignacio Laprida and Santiago Toccalino). With Sebastian Merlos substituting for the injured Pelon Stirling (tendonitis of the elbow), La Dolfina rumbled out to an early 2-0 start against a team that they had beaten in Hurlingham Cup competition by 13 goals last month (19-6). Miramar fought back in the second chukker, outscoring La Dolfina 3-2. At the end of two periods of play, La Dolfina held a 4-3 advantage. Two La Dolfina goals went unanswered in the third as the La Dolfina defense stiffened. La Dolfina had stretched its lead to three goals, 6-3. Miramar scratched their way back into the game in the fourth, putting up two goals of their own while holding La Dolfina scoreless. At the end of the first half La Dolfina was defending a paper thin 6-5 lead. La Dolfina got their footing in the fifth period, scoring four times while holding La Dolfina scoreless. Sixth period action continued much the same as La Dolfina showed superiority on both offense and defense. Four more goals went up on the La Dolfina side of the scoreboard while Miramar was held scoreless once again. At the end of the sixth chukker La Dolfina was riding a nine goals lead, 14-5. The two teams traded goals in the seventh period, 15-6, and La Dolfina ran over them in the eighth as they added two goals and served up Miramar’s fifth scoreless chukker on their way to a convincing 17-6 win. Adolfo Cambiaso scored eight times for La Dolfina (once on a penalty conversion). Pablo MacDonough and Juan Martin Nero scored four goals apiece and Sebastian Merlos scored a goal in the win. Santiago Toccalino led the Miramar attack with three goals (one on a penalty shot attempt). Inaki Laprida scored twice and Toccalino added a goal in the loss. La Aguada (Facundo Sola, Sapo Caset, Miguel Novillo Astrada and Alejandro Novillo Astrada) managed to sneak past Magual (Alejandro Muzzio, Ignacio Toccalino, Marcos Di Paola and Jaime Huidobro) but the beating wasn’t as disheartening for Magual as their previous meeting in Hurlingham Cup play in which they lost by nine goals, 19-10. The two teams traded goals in the opening chukker with Magual outscoring La Aguada in the second period and took a 3-2 lead. La Aguada made it up in the third, outscoring Magual 2-1 and tying the score at 4-4. Both defenses tightened in the next three chukkers as the two teams traded goals one for one. The score remained even in the fourth 5-5, the fifth, 7-7 and the sixth, 8-8, before one of the teams broke loose. Two seventh period goals from La Aguada finally broke it up as they moved ahead, 10-8. Magual tried to rally in the eighth, scoring twice, but La Aguada was ready. Each team scored a pair of goals as La Aguada rode off the field with the 12-10 win. Argentine Open play continues on Sunday with Ellerstina (Facundo Pieres, Gonzalito Pieres, Mariano Aguerre and Nico Pieres) facing Chapaleufu (Pepe Heguy, Nachi Heguy, Bautista Heguy and Eduardo Heguy) at 2PM followed by a 4:30 PM contest between Alegria (Polito Pieres, Hilario Ulloa, Lucas Monteverde and Alfredo Capella Barabucci) and La Aguada/Las Monjitas (Lucas James, Magoo Laprida, Eduardo Novillo Astrada and Alejandro Novillo Astrada).